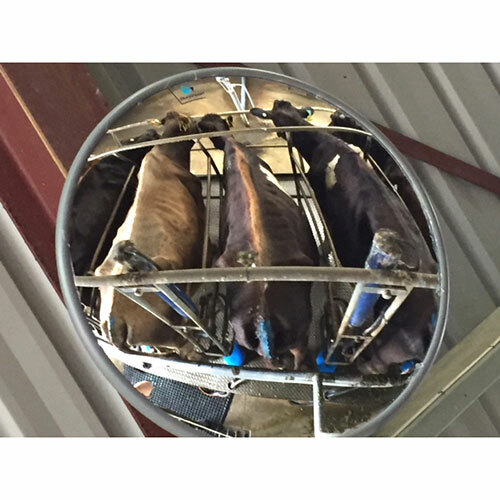 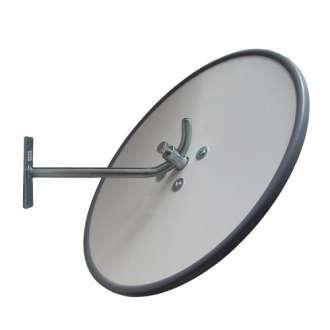 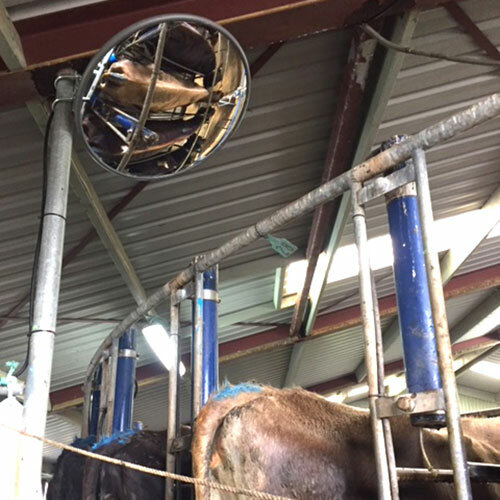 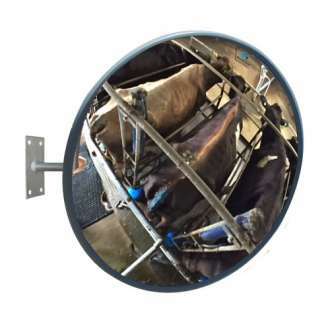 The 760mm Acrylic Observation Convex Mirror can be used for heat detection, mounted high above livestock to give a clear view of the backbone and tail when using tail paint or heat mount detectors and has the advantage of not interfering with the animals. 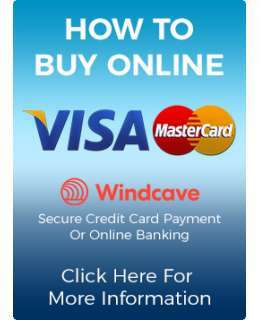 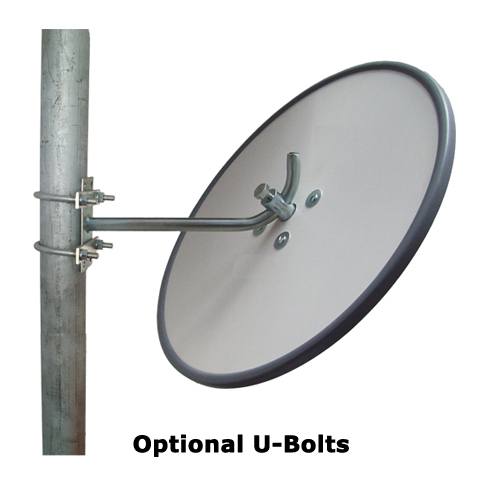 This outdoor acrylic model is weather proof and designed for general outdoor areas which are not exposed to harsh weather conditions, such as high winds. 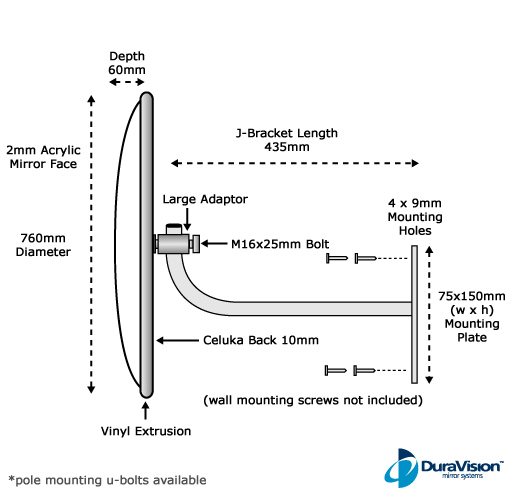 The heavy duty adjustable bracket is built to last and the specialized curve design is formed from optical grade 100% virgin acrylic and vacuum metalized from 99% pure Aluminium for a superior clear reflection with no distortion. 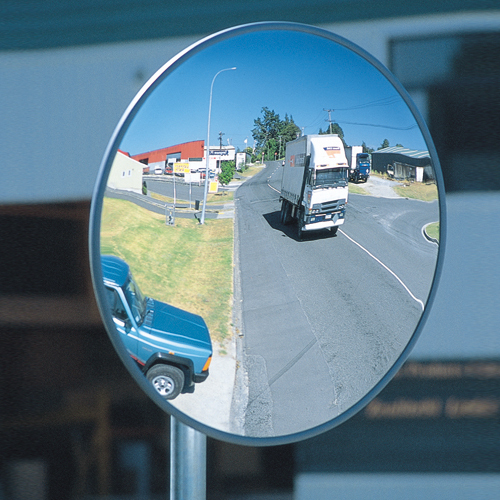 This robust mirror is easy to install and the fully adjustable bracket allows the mirror to be angled at the most effective position for optimal viewing.